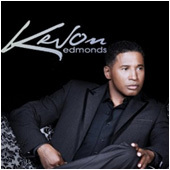 After a near ten years hiatus, singer/songwriter Kevon Edmonds made his return to the music scene with Who Knew. Lead by the Greg Curtis produced first single “OH,” via his Make Entertainment, the song beautifully showcases Edmonds’ yearning high tenor in a manner that will have ladies swooning all over again. Most people know Kevon Edmonds as one of Babyface's older brothers or as a member of the group After 7. However he's a pretty good solo artist in his own right.